At Excentric, we don’t just see hair. We see you. That’s the way it was when we first opened our Sea Point salon under Director Stylist Florin Neacsu (we like to call him Flo) back in 2014, and that’s still the way it is today. Your interests, your concerns, your aspirations – these are our passions. And we make it our business to use this information to bring about a transformation that is perfectly, wonderfully you. After all, each of us is unique – that’s why we treat you that way. While there’s definitely an art to what we do, we prefer to think of ourselves as scientists. Not the mad kind, of course. The precise, measured, systematic kind. The kind that finds beauty in geometry and chemistry. 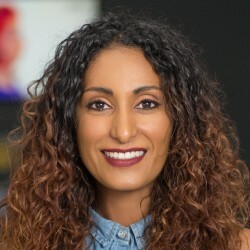 We consider it our job to carefully weigh up factors like your skin tone, eye colour, lifestyle, personality, bone structure, and the lines of your face to devise a solution that’s a flawless match for your best features. But that doesn’t mean we don’t enjoy pushing the boundaries. Here at Excentric, we live by the mantra, ‘Dare to be different’. We’re big on innovation and imagination, and we value the originality that our team’s extensive international experience brings. 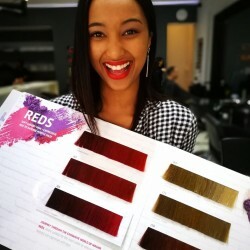 Matters like precision cutting, advanced hair colour techniques and results-driven treatments get our heart rates up, and we feel most energised when exploring the latest practices, including balayage, contouring, geode, rainbow and unicorn hair. That’s because we consider it our responsibility to always stay a few steps ahead. It’s why we strive to never stop learning. 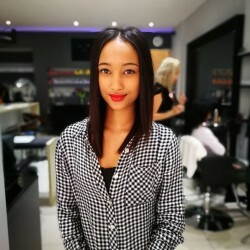 Our team, for example, enjoys weekly in-salon training in Sassoon cutting and Wella Master Colour techniques, and we regularly attend courses both in Cape Town and overseas. We like sharing our knowledge too. 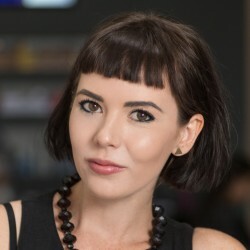 Not only is Flo a member of the Wella Education team that travels South Africa to nurture other stylists, but we also host international academies to expose local hairdressers to what’s happening beyond our borders. But more important to us than anything is how you feel when you visit us. While our outlook is worldly, our essence is ‘home’. We trade in warm smiles and hot coffee. 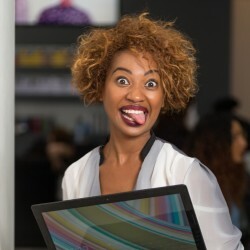 There’s none of that highfaluting silliness – just ask our regular clients. We want you to chat to us comfortably, express yourself openly, relax easily, and feel freely, entirely ‘you’. Because, like we said, it’s not just about your hair. Motivational thinking, creative direction, artistic interpretation, image making, innovational idealism, educationally sharing, inspirationally caring, photographically artistic….one sheer genius. Florin Neacsu started his career in 2007 with his brother, Soso, top stylist in Romania. 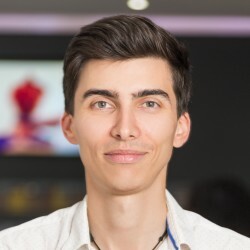 Being very passionate about the science behind the hair and the techniques that define perfection with precision, he started to attend over 30 international seminars. Some of them were in London, at Vidal Sassoon Master Academy, Tony&Guy and Wella Romania but also Wella South Africa. 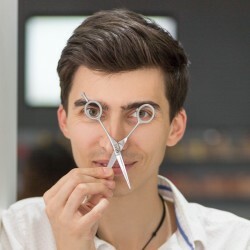 When Flo competed against other top stylists in Romania, he won the second place in TVA Romania. In his first year working at Scar,in Cape Town, he managed to impress South Africa, getting the second place in Wella Trend Vision. Soon after that he obtained the Master Colorist Certificate with gold. 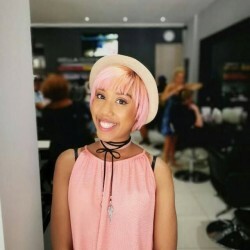 He now holds the Wella Trendvision Colour Category Gold 1st place Award 2017 and will be representing South Africa in the International Trendvision Award Competition in London in October. Flo’s approachable personality is reflected in his style of hairdressing. His own signature style comes from combining his exceptional colouring & cutting skills to create tailor-made looks for all of his clients - whether it’s his everyday customer, models, or a celebrity. Flo’s goal is to continue to push the boundaries of hairdressing with originality, innovation and creativity. I am here to ensure that we as a team work at our best to ensure your Excentric Experience from start to finish goes as smoothly as possible. I love going the extra mile for our clients and team. 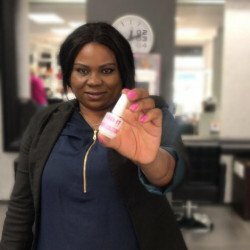 "I don't see problems, only solutions and lessons in everything I do, only like a true optimist would say"
I started my Hairdressing Career in 2005. I have attended numerous training courses throughout my career which includes Redken, Shwarzkopf, Tony & Guy, Mahogany and Vidal Sassoon. Recently completed Wella Master Colorist 2016, Wella Color Craft and Easihair Pro Tape in Extensions Training. “I believe that every client must be treated as if they are your only client, or your first-time client. 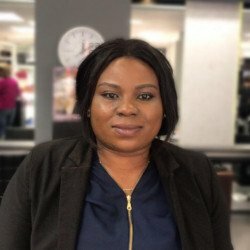 I always remain abreast of the latest trends and techniques to empower myself to offer the client great new ideas"
Farhana has been in the hair industry for over 16 years, her love for hair began at the age of 17 when she worked under the guidance of Malawi's top hair stylist. 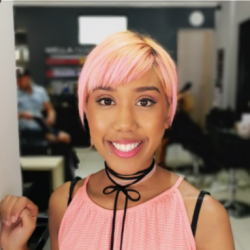 From very humble beginnings Farhana has now become one of Cape Town's trendiest hairdressers. Working with celebrity clients such as Karen Zoid, Jack parrow, Michael Rhodes, Francois Louw and many more. Her hands in most cases do all the talking. 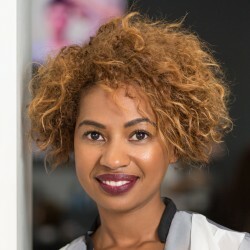 With a reputation for contemporary and up to date looks, she has a vast array of ideas and concepts to suit any hair type. Instead of a "think out of the box" approach to hair, Farhana does away with the box altogether. 'The world is your oyster' is the term you will more often be graced to hear. Her engaging and pro-active approach creates an inviting atmosphere that is not only fun, but creative as well. 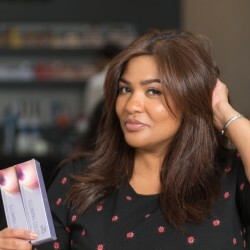 Farhana believes that every person gifted with the right tools, can be made to look their best every time. Her attention to detail and expertise in the trade, appear effortless, as a result of fine tuning the art of hair. 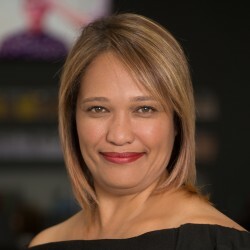 Angie began her career in the Hairdressing industry in 2001 in Cape Town. 5 years ago she joined Steiner, Spa operator onboard luxury Cruise ships, using this opportunity to work while travelling the world. 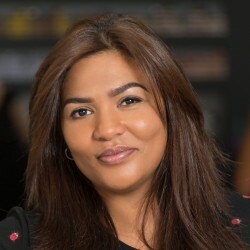 She furthered her studies and experience in London, Miami, Panama and China, learning different colour and styling techniques. She also worked with clientele and celebrities both nationally and internationally. 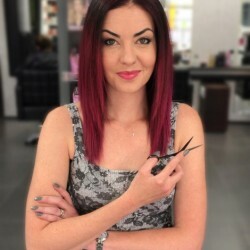 Today with over 15 years experience Angie specializes in multi dimensional hair colour, highlighting, colour corrections as well as styling makeovers. She has also mentored and educated stylists by training and development. 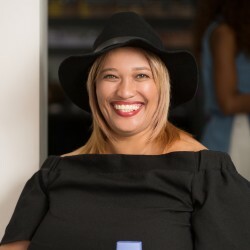 She believes in constant training and upliftment and is passionate about what she does. My journey with Excentric started in 2017 where I came from working onboard cruises gaining amazing experience. I've now successfully completed my full apprenticeship course at Excentric trained by Flo and have been awarded as Junior stylist. It has been a great journey and I am excited to have many more visions come to life by giving my 100% to every client sitting in my chair. A colourful Junior hairstylist. 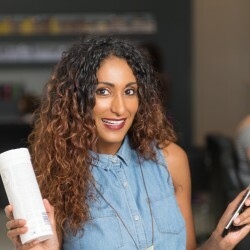 Passionate about making her clients look and feel good while learning something new in the art of hair each day! I am a people's person and love to engage with everyone. I believe that knowledge is power and I am pro-education, to better myself continuously. I'm passionate about anything hair, from precision cutting to creative and funky colours. I believe that each client has individual needs and concerns, therefore it is my responsibility to ensure that I advise my clients and offer solutions to the best of my abilities and knowledge. I am a nail technician by profession. I love and enjoy doing nails. My passion is to give my absolute the to clients. There is absolutely no place that touches Excentric for quality. Flo arrived in CT from a London academy and has since started his own salon, hired only the best staff and stylists and after only a year has bookings all day all week! Not a single client has left him. 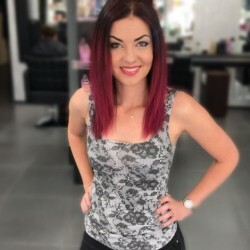 If you are not happy with your last cut, if you want a change in style or appearance, pop in and see Flo who is the hands down the best in the business!! !